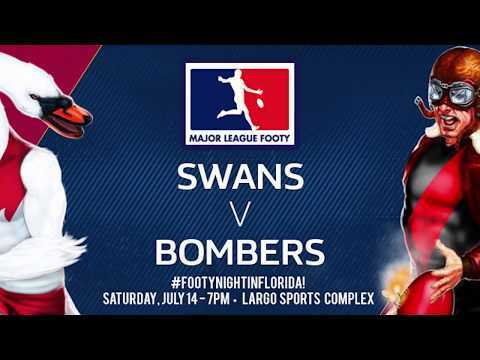 The St. Petersburg Swans (5-1) host the Tampa Bay Bombers (2-4) in Major League Footy action, January 19 in Largo, Florida. 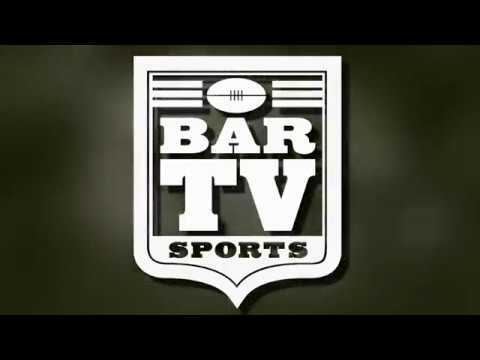 While most of the Eastern USA will be spending the weekend dealing with snow, ice and frigid temps from an expected ‘polar vortex’ blast, the St. Petersburg Swans will host the Tampa Bay Bombers as Major League Footy action returns with a special Twilight Series Double-Header at Largo Sports Complex Stadium in Largo, Florida. Ball-up for Game One is 7 PM, under decidedly-postcard conditions around 70 degrees. The Bloods enter the contest atop the MLF ladder with a record of 5-1, while the Bombers come in at 2-4, and can virtually secure a playoff berth with a sweep of the evening’s proceedings. In a scheduling quirk, the same two sides met January 12 in a rescheduling of a storm-called December clash, with the Swans battling back in Game Two to salvage a split in the twin-bill. That result enabled the Bloods to stay well clear of the pack with 20 points in advance of this week’s rematch at the site of one of the sides’ most memorable clashes. During the 2018 MLF Summer Season, the Bombers rallied to post two majors in the final minute of a July 14 affair, on their way to a 2-point win. Major League Footy will celebrate Australia Day 2019 with a matinee double-header as the Florida Lions tangle with St. Petersburg Starfish FC, Saturday, January 26 at 11 AM in St. Pete, Florida.